Every Saturday in September from 3-6pm catch live music performances from the water! 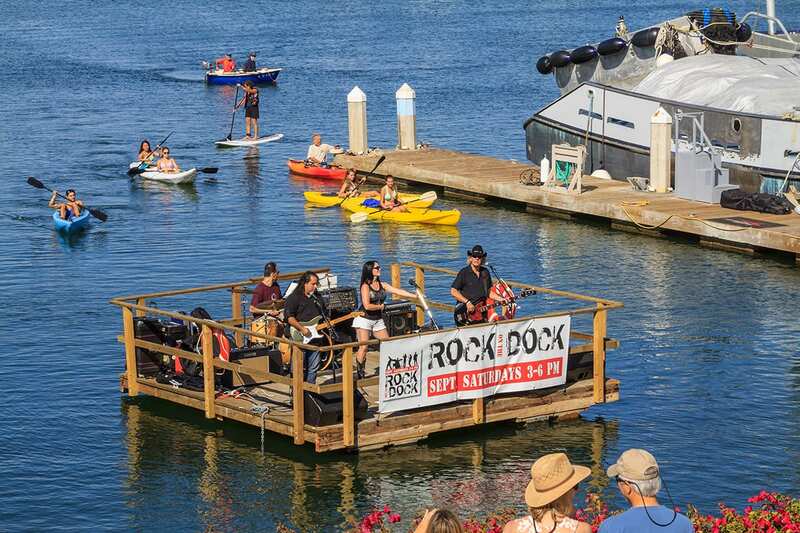 Dance, dine & shop as bands play on a floating dock in the Harbor. Sip cocktails and enjoy Happy Hours while enjoying these fun annual performances.